As I gear up for another four year cycle of training, I am thinking about the things I want to do better this time around. I'm really bad at asking for help, but the few times I have asked, the outcome has blown me away. These past few years, I've been hosted by generous families, borrowed equipment, used expertise and been buoyed by your love and support. I suspect there are more of you out there who would love to help, but don't know how. So, I came up with a list of the things that mean the most to me and keep me on track even through tough times. 1. Be a super fan. Find me on social media (Twitter Instagram Facebook), where I post regular updates and upcoming race information. Tweet at me, comment on my photos, and get your friends involved. Share this post with your network! After a hard race or brutal training week, there is nothing better than loving words from my fan club. It helps me be proud of even bad performances, and that means I can learn from them and do better. As I try to secure sponsorships over the upcoming year, your support will help me show companies that they want to back me. If you're sending a care package, my mom is a care package professional, so if you know her, ask for suggestions! Otherwise, please keep it veg friendly and remember that we don't have a lot of space for knick knacks so consumables are preferable. Getting fan mail makes me feel like a rock star, and when I feel like a rock star, I treat myself like one. 3. Help me save money. Travel is a huge expense for me. Road trips to Princeton, Boston and Florida. Flights to warmer weather (and hopefully to international races). Hotel stays for racing. Most people love to travel and use their rewards points to the max. BUT if you travel for work and have a lot of rewards saved up, you can help me save a lot of money on race travel. Most rewards programs either allow you to transfer points or book travel for somebody else. If you don't travel because you live someplace where the weather is perfect year round, you can help me save money on a training trip! I'm looking to take a 2-3 week trip in December, and would be looking for a host family and a host club with equipment I could borrow. Every dollar I save on racing and training trips allows me to either reallocate that money to nutrition and equipment or take on fewer hours at work. That makes a huge difference in the quality of my training. When I do travel on a budget, I can't always book the best accommodations. Sleep is one of the most important factors in successful racing and better housing begets better sleep. A good hotel could help me win a race. 4. Connect me with companies. Over the next year, I'll be looking to secure corporate sponsors to help support my training. Know a small company in Connecticut that would benefit from associating their brand with a dedicated, high performance athlete? Have connections in a major sports-related retailer? Let me know! Examples include real estate agents, financial services, sports/running stores, health food manufacturers, or clothing companies. Cold calling is hard. Your introduction can help my conversation with these companies start on the right foot. Even if our specific needs don't match up, it is useful practice and helps me learn what companies need. Your time and energy mean the world in supporting my journey. At the moment, I am not prioritizing donations, but I know that they represent your time and energy. If you have the resources to support my journey this way, know that donations make a huge difference and I cherish every one. 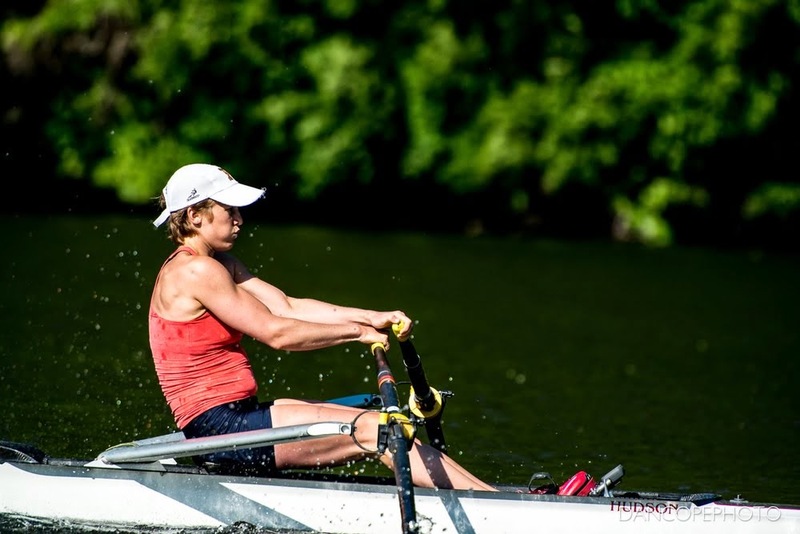 Donations are tax-deductible, and can go through the Northeast High Performance Rowing Foundation. This spring, I used a donation to cover all of the costs of our 6-week training trip to Florida—something that has set me up for a lot of PRs in the single this summer. Donations help me cover race fees, equipment maintenance, and proper nutrition. Mostly importantly, they help me focus on being the best athlete I can be, rather than how to fit training needs into my budget. Follow me on Twitter or Instagram! If you like what you read, please share it using the buttons below.